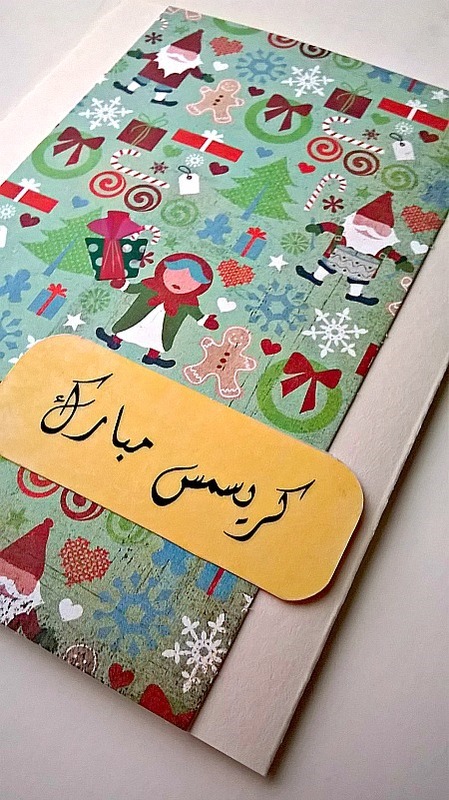 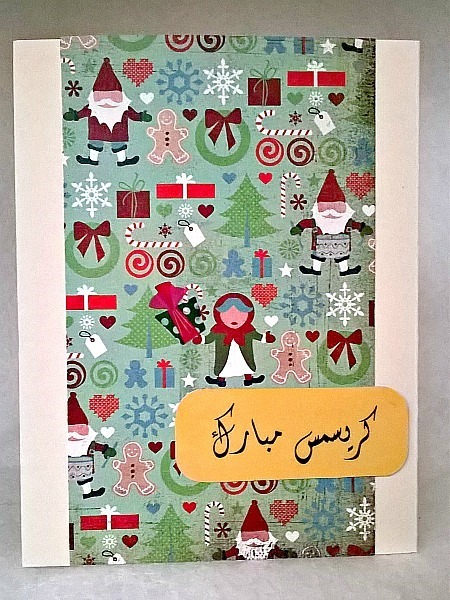 How adorable is this Christmas background paper that has the perfect little Persian Maadar-Bozorg (Farsi for Grandmother)? 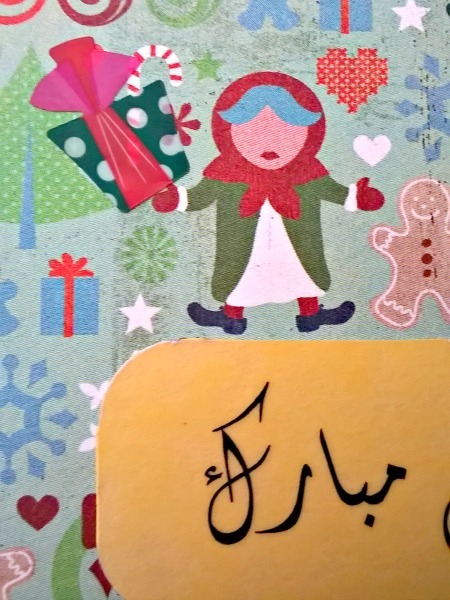 I embellished a green and white polka dotted present in her hand, with a bright pink glittered bow on top. 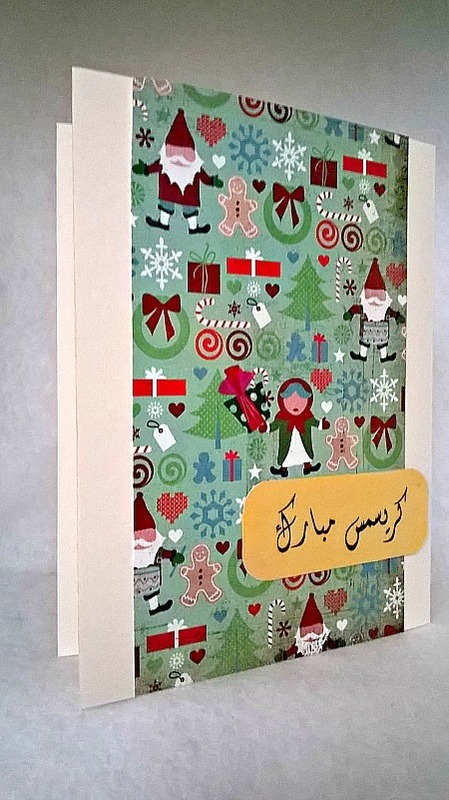 The words Kerimas Mobarak have been printed on vellum and attached to yellow cardstock.